Divers and swimmers concerned by the possibility of sharks may want to turn to technology, as an Australian gadget looks to deflect and protect. Not every bit of technology has a screen or a computer inside. In fact, some are a long way from the smartphones and laptops of the world, and are made to do something else entirely. One device that’s heading to crowd funding sits in that category entirely, with a gadget built to be taken in the water to throw sharks off the scent, or at the very least stop them from coming near you. It’s a piece of technology developed in Australia called the “eSpear” built by Ocean Guardian, a company that has been working to keep sharks away from humans by using electrical fields projected underwater. 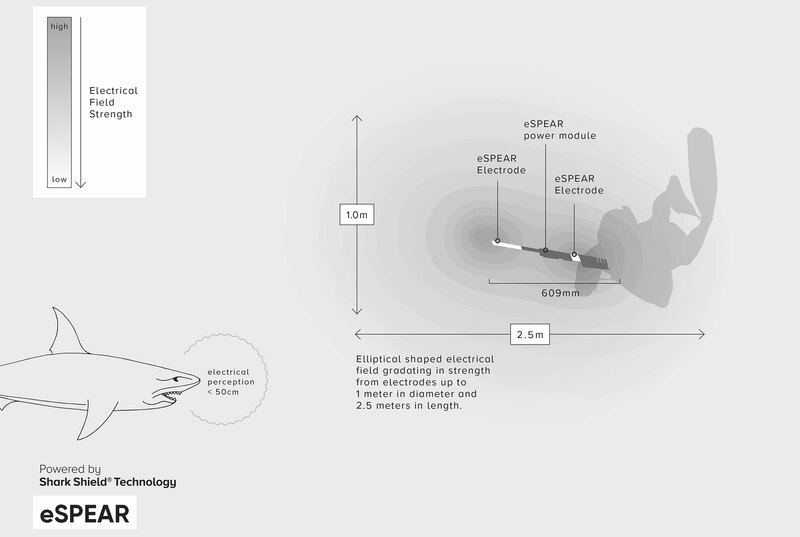 Ocean Guardian’s technology is called “Shark Shield” and it’s apparently backed by 20 years of research, creating a 3D electrical field that emits electrical pulses to push sharks away by flashing the electric receptors in their snouts. According to Ocean Guardian, this causes “safe but unbearable spasms” for sharks, affecting the way they hunt for food and forcing the shark to swim away. Ocean Guardian has released gadgets with this technology in the past, but the eSpear is the company’s smallest, essentially creating a personal form of sharp protection for anyone making their way into the water. As such, the eSpear is in a crowd funding stage on Indiegogo, with the aim to release the $299 product towards the middle of the year. “Our customers have been asking for a smaller device, so we’re excited to bring this product to market enabling people to help mitigate their fear of sharks and enjoy the ocean, and help save our marine life,” said Lindsay Lyon, CEO of Ocean Guardian. It’s worth noting that this isn’t going to be a device for everyone. While a smartphone can appeal to anyone who has a desire to surf the web, take pictures, or heaven forbid just call someone, Ocean Guardian’s eSpear is built for people who take to the water and are genuinely interested in keeping sharks away. If that’s as useful to you as a smartphone, you may find this in specialist stores after its crowd funding stage is over, though we suspect crowd founders will get priority.